Immunohematology helps in examining the Rh factor, plasma, white blood cells components, and antigens in the blood of the donor. This process is commonly known as blood banking and deals with the preparation of blood cells for transfusions. Immunohematology helps in reducing the threats related to blood transfusions such as thalassemia and HIV. The global immunohematology market is anticipated to observe substantial growth owing to the development of new technologies for blood scanning and the launch of new products. However, expensive immunohematology products and low awareness among people are signaled to be some of the factors restraining the progress of the global immunohematology market, specifically in the emerging economies. There have been rising attempts to spread awareness about blood donations and its benefits all across the world. Moreover, the diagnostic labs and hospitals are also giving preference to automated instruments and integrating multiple functions on a single platform, thus supplementing market growth in return. It has also been projected that many leading companies will try their luck in the market in the coming years. Such large participation is expected to give rise to mergers and acquisitions, thus leading to an enhanced product portfolio and an expanded global market presence. On the regional front, North America is expected to emerge as one of the leading regions contributing to the growth of the market. The growing number of blood banks and trauma center facilities play a key role in boosting the demand for immunohematology products in the region. The growing preference of automated technology and the rising demand for advanced technology are some of the important factors that are predicted to augment global immunohematology market in the next few years. A significant rise in the number of players is likely to supplement the growth of the overall market in the near future. The latest trends and lucrative opportunities in the global immunohematology market have been discussed at length in the research study. Moreover, a thorough overview of the global market, key segmentation, and the competitive scenario have been presented in order to guide the new as well as existing market players. According to the research study, the global immunohematology market is expected to grow substantially in the next few years. The research study has highlighted the key factors that are responsible for the robust development in the last few years. The emergence of new and technologically-advanced products is considered as one of the major factors encouraging the growth of the global market. 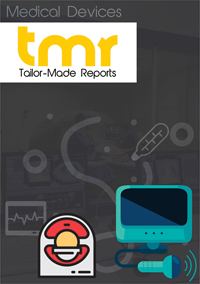 In addition, the tremendously rising rate of trauma injuries across the globe is projected to supplement the growth of the market in the near future. On the flip side, the high cost of products is one of the key factors that is estimated to restrict the growth of the global immunohematology market throughout the forecast period. In addition, the lack of awareness among consumers, especially in under-developed and developing economies regarding the availability of these products is expected to hamper the growth of the market. Nevertheless, the growing prevalence of target diseases and the growing demand from hospitals and diagnostic laboratories is anticipated to accelerate the growth of the global immunohematology market in the near future. From a geographical viewpoint, North America is anticipated to hold a key share of the global immunohematology market and maintain a leading position throughout the forecast period. The high growth of this region can be attributed to the increasing number of blood bank facilities and trauma centers. In addition, the rising demand for immunohematology products is another major factor estimated to encourage the growth of the North America market in the near future. Furthermore, Europe is projected to witness a significant growth in the next few years, thanks to the presence of a large number of players operating in this region. The rising number of advanced and innovative immunohematology products is likely to fuel the growth of the Europe market in the coming few years. The Asia Pacific market for immunohematology is anticipated to grow at a robust rate and offer several opportunities to the market players in the next few years. The research study has included the market share and predicted growth size of each regional segment to offer a clear understanding to readers and players. The global market for immunohematology is expected to grow at a rapid rate, owing to which a large number of players are predicted to participate in the market across the forecast period. The prominent players operating in the market are focusing on mergers and acquisitions in order to enhance their product portfolio and market presence across the globe. In addition, the growing focus on research and development activities is estimated to generate promising growth opportunities for the new players in the global immunohematology market. Some of the key players mentioned in the research study are Grifols, BD (Becton Dickinson), Beckman Coulter, Inc., Siemens Healthcare GmbH, Immucor, Abbott, Ortho Clinical Diagnostics, ThermoFisher, Hologic, Inc., and Bio-Rad Laboratories, Inc. To provide a thorough analysis of the global market, the research study talks about the competitive landscape, focusing on the company profiles, financial status, product portfolio, business policies, and the latest developments.